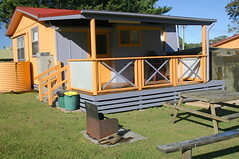 Stay in a two bedroom “retro” cottage for your Durras accommodation. 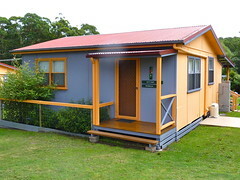 Rosella Cottage sleeps up to 6 persons. Two bedrooms with a rear deck. 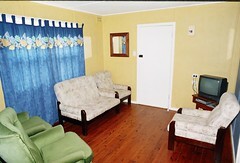 Lounge room of Lorikeet Cottage. 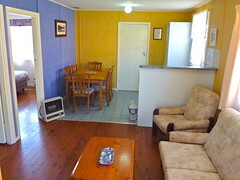 Features a lounge, LCD TV/DVD. 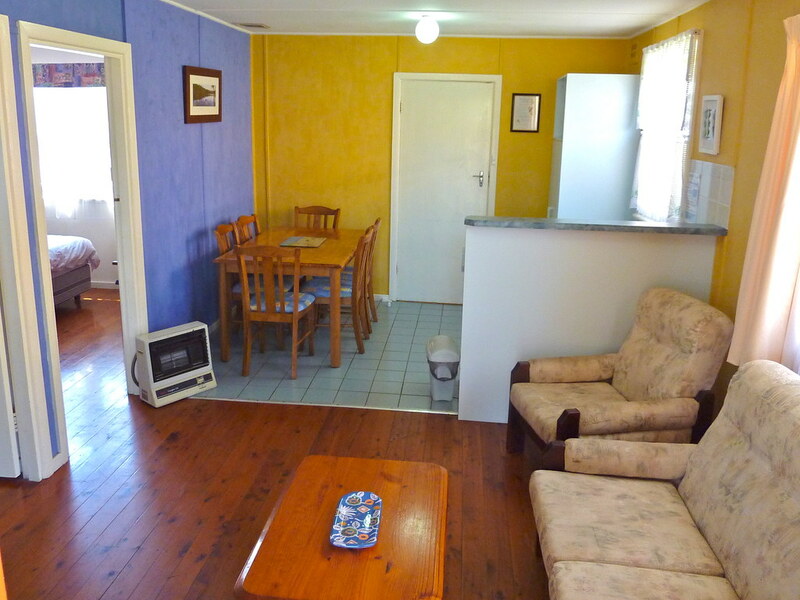 Gas heater and fans. 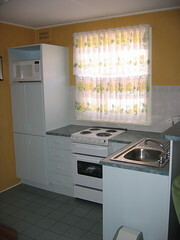 Small dining table in the kitchen area. Lounge area. The TV is now flat screen. 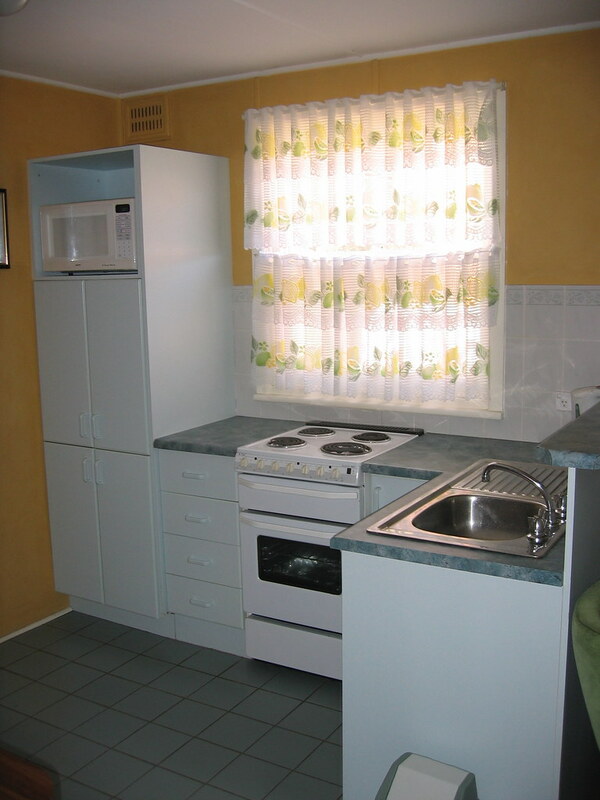 The kitchen in Rosella Cottage is fully equipped with full size fridge, microwave, oven, all pots/pans, cutlery and plates. The main bedroom features a double bed. Lightweight doonas and pillows provided. 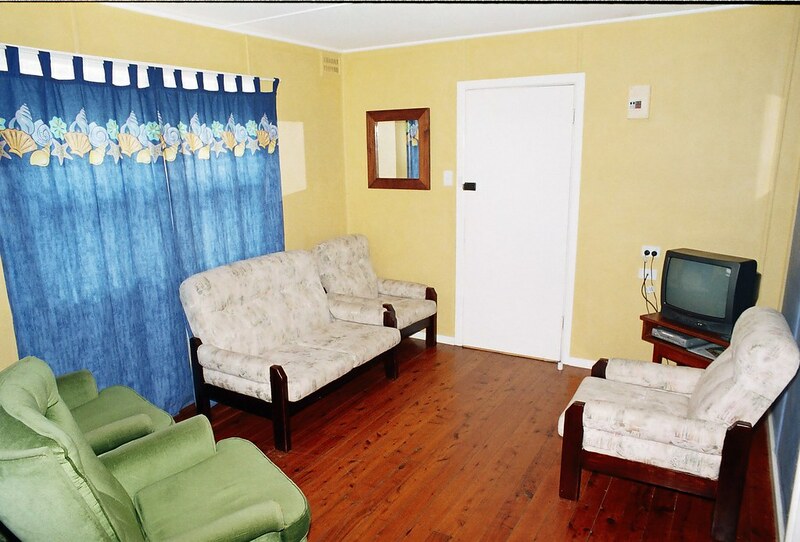 You need to bring your own linen or available for hire. 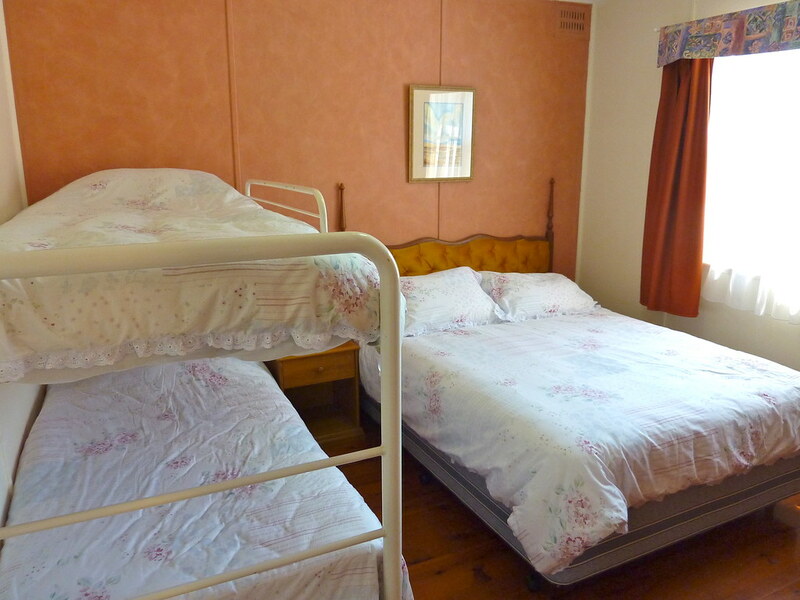 The second bedroom has a double bed with a single bunk over the top. 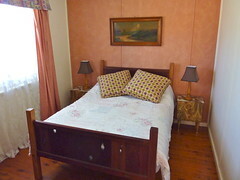 Lightweight doonas and pillows provided but you need to bring your own linen and towels or available for hire. 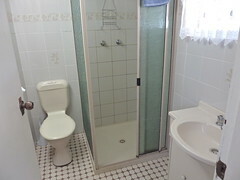 The bathroom in Lorikeet Cottage. 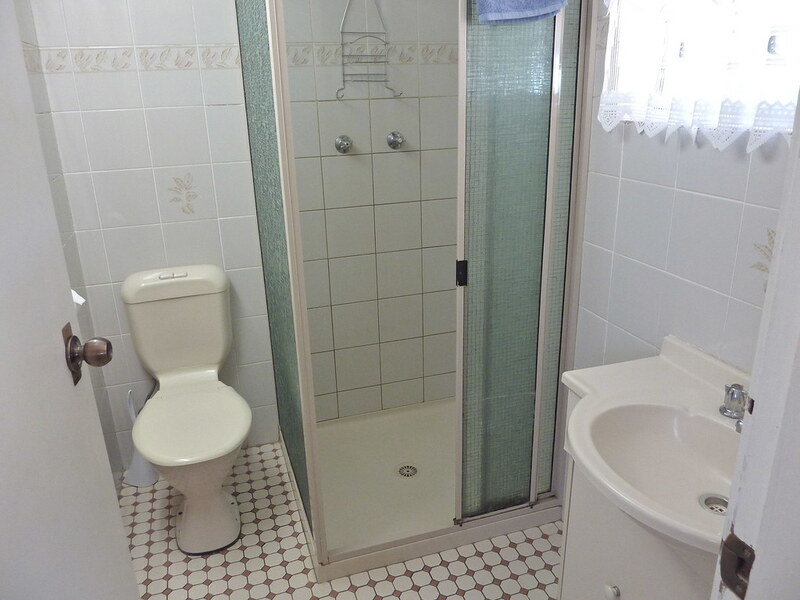 Shower, toilet and vanity. 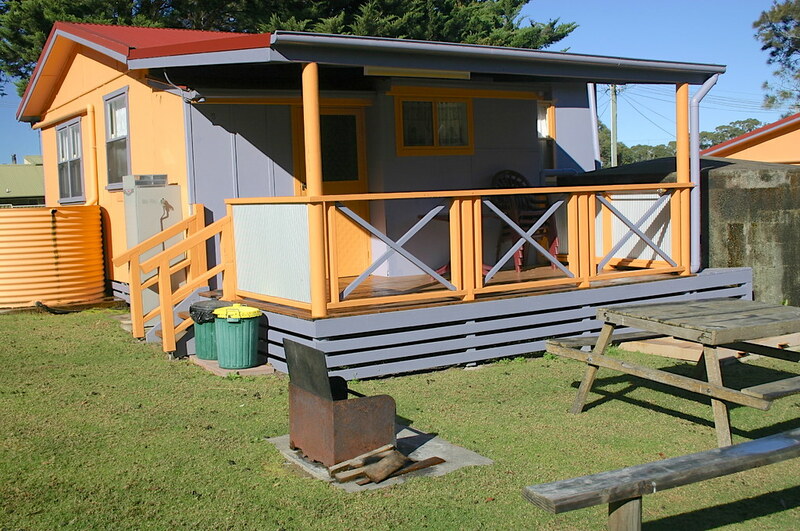 The rear deck of Rosella Cottage includes an outdoor setting. 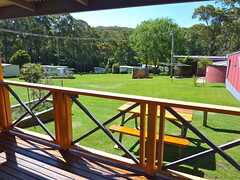 Views over Murramarang National Park. 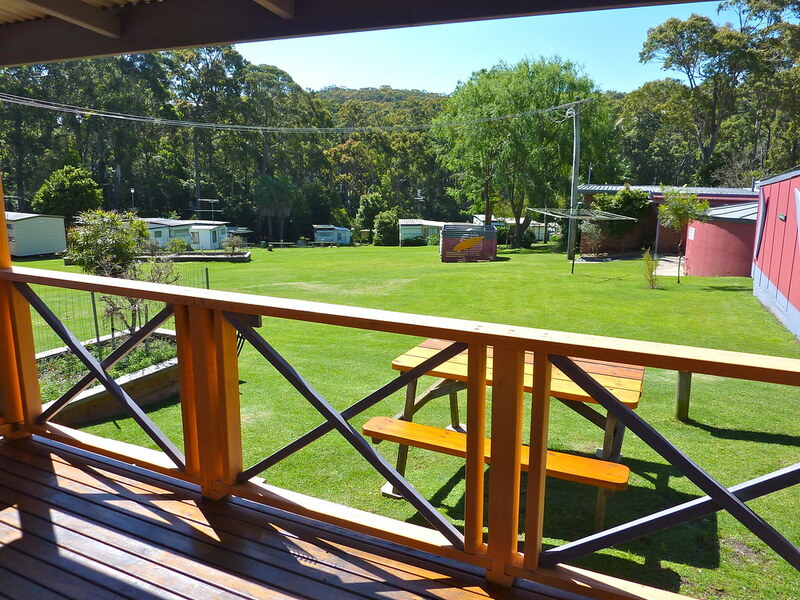 Relax on the back deck of the Lorikeet Cottage. A basic wood fired barbecue outside. Firewood is available for purchase.